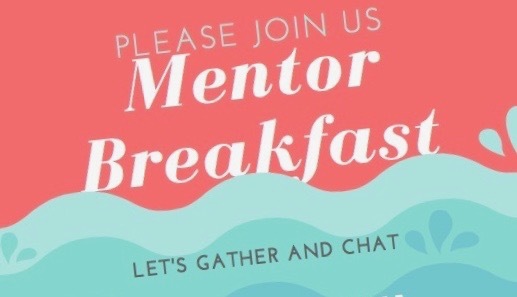 June is Mentoring month for the AASL Induction Program, and as a facilitator for the program, I’ve been thinking quite a bit about mentoring. Unfortunately, mentoring has not been one of my strengths. I’m quite resistant to being mentored, and I’ve struggled with being a mentor. However, my work for the Induction Program has taken me from having a negative perspective on mentoring to understanding the rationale behind mentoring and examining my own personal issues with mentoring. Students can become lifelong learners by making meaningful, long-term connections through mentoring. 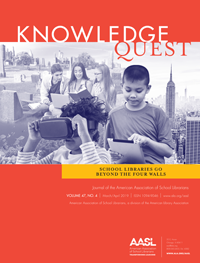 School librarians can become better mentors, leaders, and school librarians by mentoring students, making student connections, growing as a mentor, and continuing the mentoring cycle. 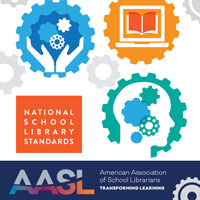 We advocate for school librarians when we raise our level of performance through peer mentoring for all school librarians, as well as those new to the field. Although I’ve now become a fan of the philosophy behind mentoring, I’m still leery about the traditional mentoring process. Some suggest resistance to mentoring may be generational, and traditional mentoring programs are outdated. This may be true in some instances; however, I don’t flourish with the traditional mentoring model, and I’m not a millennial. Perhaps anyone could benefit from updated or creative mentoring programs regardless of age. This past school year I was a mentor for a new school librarian in my district. Due to my former resistance to mentoring in general, I probably wasn’t the best mentor. Perhaps my mentee, a millennial, wasn’t excited about the mentoring process either. Equipped with a new appreciation of mentoring, but still feeling resistant to the traditional mentoring process, I wanted to coordinate with our library services mentoring team to discuss expanding our mentoring process to incorporate a variety of mentoring styles. Instead of 1:1 mentoring for new hires, group mentors/mentees and interact as one unit. As a group, mentors/mentees can participate in different activities like speed mentoring where mentees meet several different school librarians. These activities can be online, but should include some face-to-face time even if it is virtual. Set up a mentor/mentee communication platform online. 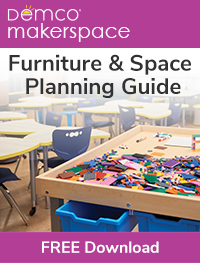 This can be useful for group mentoring or supplemental for 1:1 mentoring and as simple as a designated email group. Mentees can ask questions and crowd-source the entire mentor/mentee group for a variety of answers. Incorporate the potential for mentees advising mentors. Maybe an experienced librarian can share professional knowledge, while the mentee helps the mentor learn to use Snapchat, Zoom, or an Arduino. Expand mentor/mentee options by including school librarians who are not new hires. This creates a peer network and could provide an opportunity for informal mentor training. Move away from the traditional dynamic of power by actively supporting the “goes both ways” philosophy between mentors/mentees. These suggestions may not be applicable in smaller districts, but they could possibly be modified for schools or state-level organizations. At this point, these suggestions have not been tested, but now that I see why we mentor, I think we need to re-evaluate how we mentor. My long-range goal is establishing a variety of formal mentoring models I can pull from when mentoring students and ensuring school librarians lead the way in effective mentoring that supports our colleagues and students. What are your thoughts on the traditional vs. updated mentoring models or mentoring in general?